The Elvis Interviews is an enjoyable "must read" for any Elvis enthusiast who has asked themselves that burning question…could it be possible? 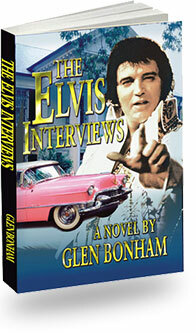 You don’t have to be an Elvis fan to thoroughly enjoy Glen’s book. I couldn’t put it down! 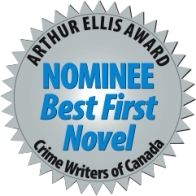 The Elvis Interviews has "Best Seller" written all over it! As a TV and film producer I read from a "visual" perspective. The Elvis Interviews brilliantly unfolds like a movie in your mind. You not only read the book you SEE it come to life. I suggest you read it with popcorn. I was captured with intrigue the moment I opened the novel and became one with the story. I felt I was standing in the background watching the story unfold. I am looking forward to reading the sequel. Congratulations on a well written novel. I had the recent pleasure of meeting you at the "Collingwood Elvis Festival" and subsequently purchased your book The Elvis Interviews . I have just now finished reading it and must tell you that I found it to be one of the most captivating novels that I have read in a very long time! The mixture of fact and fiction grabbed me from the first page and I found it extremely difficult to put down, once I started reading it. Essentially I have only 5 words for you…HURRY UP WITH THE SEQUEL!!!!!!!!!!! First let me tell you that I’m usually a biography, self help, non fiction kind of girl. Fiction doesn’t usually reel me in but yours most definitely did! I’d find myself doing the old "I’ll just read a couple of chapters"…and then end up reading several dozen chapters. It was that good! I got totally immersed in the story and it took me right back to Graceland and I was walking along with the characters into the corporate offices, the mansion and the car museum. When those losers were vandalizing the cadillac, I was practically jumping out of my skin at the thought and wanting to make a citizens arrest. That thought is so upsetting to we fans, right? I’m the type that when I hear about violent storms in Tennessee, I immediately pray Graceland is spared. All of Elvis’ things are treasures to so many of us. So, I guess my point is that I was drawn into the story emotionally. I can hardly wait for more on the "missing years". How I would love to hear what Elvis himself might say in a book. Author’s note: Wendy King hosts a show on Barrie’s B101, and was one of the judges at The Collingwood Elvis Festival 2006. She has also visited Graceland an unprecedented 38 times! Finished reading your book a couple of days ago. I thoroughly enjoyed reading it with all of the crazy capers colliding into an interesting culmination of events. It really makes you consider possibilities you might otherwise dismiss. I really enjoyed the ending because I know there is more to come and I can’t wait to see what happens next. What a great premise for a novel. You tell a great story. I am anxious to read the next one now. Way to go! No pressure…but is the second book almost done? This is a great novel. I’m all shook up as I read chapter by captivating chapter and the story unfolds into something wonderful.